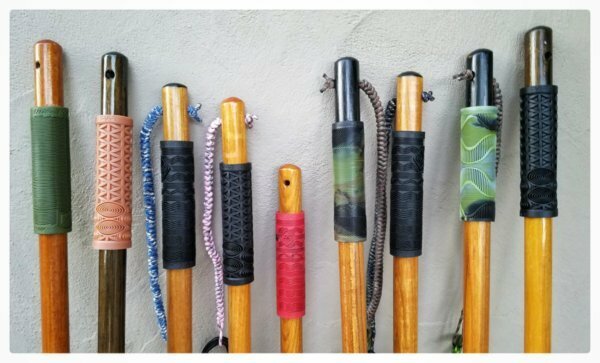 Today we're very fortunate to have Tyrone Espinoza of TyRoam Handcrafted Hiking & Wading Staffs stop by Troutrageous! for a quick chat. I've been a fan of Ty's work from afar ever since stumbling on photos of some of his beautiful wading staffs on Instagram this past summer. It's been fun following some of Ty's adventures on social media over the last few months, including what looked like a very productive International Fly Fishing Fair in Boise, Idaho which made me want to reach out and learn more about his products and company. I'm definitely looking forward to purchasing my first TyRoam wading staff in the not too distant future, and after reading this I think you'll be more than tempted to do the same. Enjoy! Hello Ty, please tell us a little bit about yourself; where do you live, what is your background in the outdoors, be it hiking, fishing, or otherwise? Growing up in Redondo Beach, Southern California in the 1960’s and 70’s, I have lived and played in the outdoors since I can remember - the original Coppertone baby. At a very early age of 7 or 8 years old I took to fishing big time. I remember saltwater fishing for bonito and yellowtail with my little brother Mark in King Harbor Marina using ultra-light spinning gear with 6-pound test. Fighting some pretty serious sportfish with our reel drag screaming and chasing down fish in order to land them. - and we landed plenty! 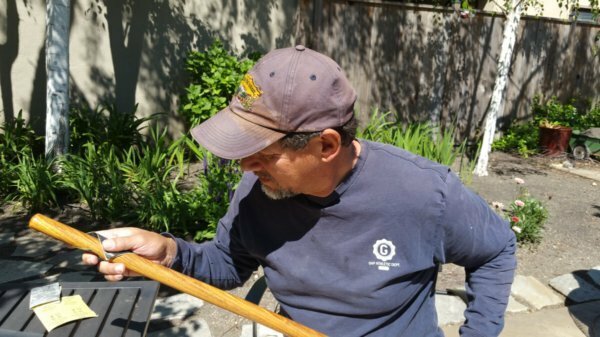 I’m pretty much a traditionalist and have always had a fondness for the outdoors and working with my hands - especially woodwork. 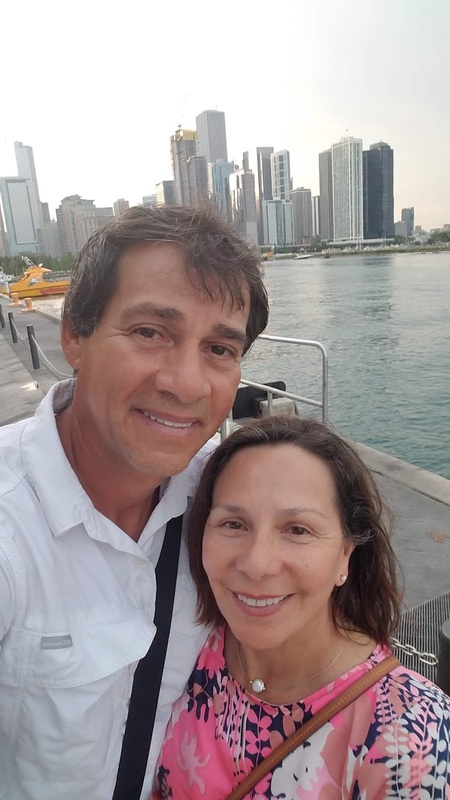 Fast forward, today my beautiful bride Rosie and I live in Sacramento, California where we are very active cycling, weight training, hiking, gardening, ocean fishing, fly fishing, and tenkara - fixed-line fishing. Oh, I should also mention helping care for our small grandchildren, they’re a ton of “energy” - code for crazy wild! We love them. Can you give us some information about your business, how & when did it start, what was your inspiration, etc…? 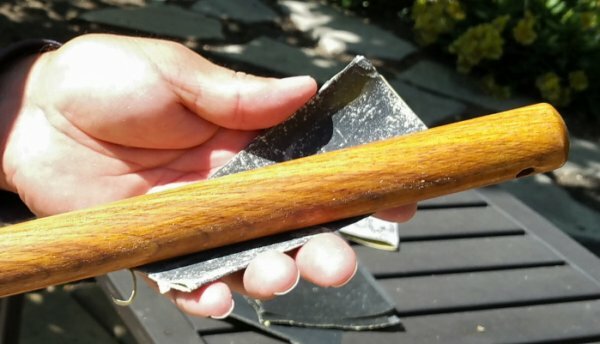 I began dedicating time to launching my business: TyRoam Handcrafted Hiking & Wading Staffs in early 2017 shortly after I retired from California state government as a healthcare administrator. Although, I really started field testing my handcrafted hiking/wading staffs several years prior and continually making modifications from lessons learned on and off the water. I paid attention to all the little details I encountered during use such as leash length, best types and densities of wood, lengths of staff, different types of grips, different types of waterproof glues and varnishes, etc... I applied all the years of my field testing experience and acquired knowledge into the development and evolution of my wading staffs. I already have plans for the next evolution... it’s an ongoing journey. The old adage... once you stop learning you start dying... yikes! 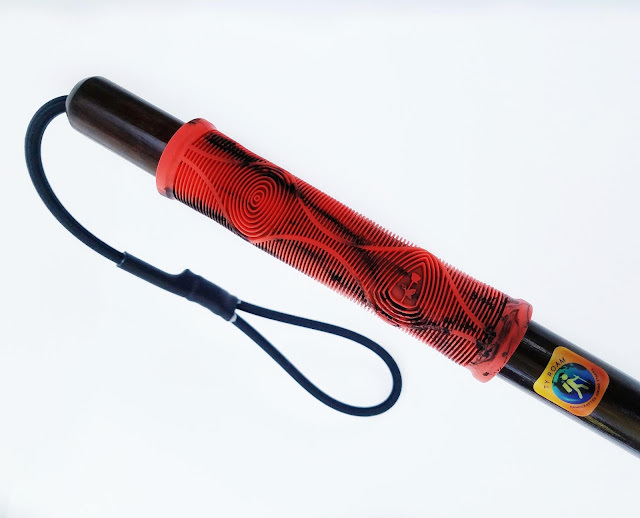 The initial inspiration that provided the catalyst was when I was first looking to purchase a wading staff at local fly fishing shops I saw cheap uninspiring wooden staffs that weren’t more than overgrown Tinker-Toy sticks that were grossly overpriced. That is when I decided to make my own and put all those years of high school wood shop to use, only about 40 years later. In addition, it was a great outlet to unbury the creativity that had been stifled from decades of administrative purgatory - working for "the man." There are a lot of great products out on the market today; if you had to explain why somebody should consider one of your staffs over the competition, what would you tell them? I let the beauty and functionality of my staffs speak for themselves. Once someone actually sees and “feels” the quality and uniqueness of my staffs then they come to realize how special each one truly is. Those that get an opportunity to pick up and hold one of our TyRoam staffs can feel the craftsmanship. With each one I build it seems like a little bit of my soul goes into them. Likely because I spend considerable time hand-sanding them that it almost seems I get personally attached to each one. It’s silly, I’ve even come to put nicknames to some that customers seem to enjoy hearing the story behind the inspiration. I’m not aware of any competition that can say the same or put that much passion into their products. It seems like today businesses are focused on decreasing materials costs and time in order to maximize profits. That’s definitely NOT what we’re about. In fact, we’re the complete opposite. Our TyRoam staffs are 100 percent handcrafted, which takes considerable time, and, we spare no expense in only using the FINEST materials. Our gratification comes from someone using our staffs. On the more technical spectrum: I use Brazilian hardwood, four coats of superior marine grade varnish that undergoes a light 600 grit hand sanding between coats for a super silky finish, rubber motocross grips that get tacky when wet, premium marine grade shock cord for the leash that withstands the sun and won’t degrade from the weather, industrial 1/8 thick vinyl tubing to protect the lower part of the staff from being wedged between river rock and low lying brush, and where the leash is piped into the wooden staff it is infused and encased with epoxy so it’s totally cemented and waterproof both inside and out. As for the wood staining techniques I use to come up with some incredible designs... let’s just say it’s at the journeyman level. Oh, there is so much more at the micro level that are invisible to 99 percent of folks. One good example of this are the hog rings I use to bind the marine shock cord. I use galvanized rings that are rust resistant to further enhance the durability and functionality, then I use not one but two applications of commercial grade adhesive vinyl heat shrink wrap around the rings to form the leash. Yes, this is overkill, however, I design and make my staffs to be passed on from one generation to another. Plus, some of us Virgos by nature can be over the top - ha! It’s all these details and my unwavering quality inspection that goes into each TyRoam staff. And, for those that like metal collapsible, folding, and, telescoping staffs... good luck! I’ve had these fail on me wading across mid currents only to have it get stuck between some rock and fully separate when trying to pull it free. Nothing against metal staffs... they serve a purpose. 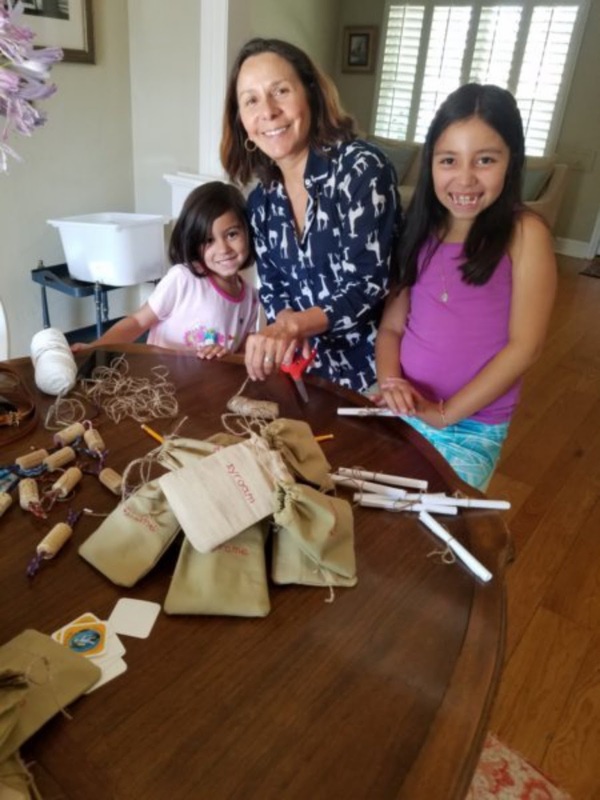 Frankly, I make my staffs for those that appreciate things made from natural materials, and, that recognize genuine craftsmanship and know they are holding something truly unique that speaks to their souls. In your opinion, what makes a great hiking staff and/or fishing staff? Is there a difference between the two? A staff that feels comfortable, durable, functional, and has the structural integrity to help you out of a challenging situation. 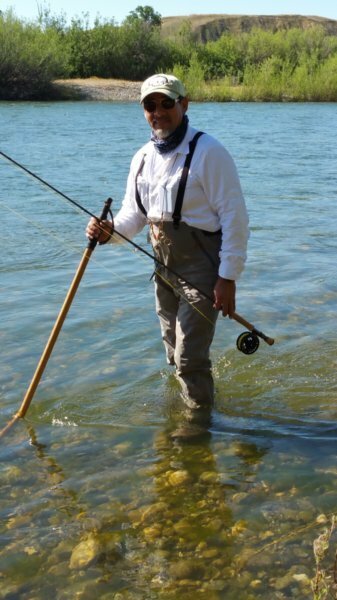 Yes, in my opinion, the difference between a hiking and wading staff can be attributed to the weight, waterproofing, grip types, length, and type of material used on the base of the staff. I design and build my staffs to be more stout with a bit more density. 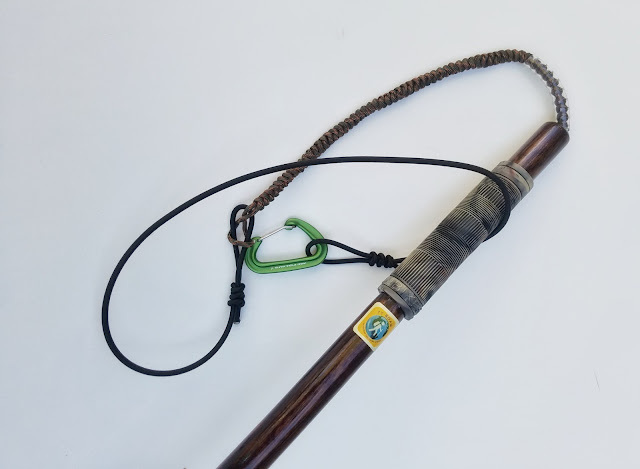 I pay careful attention to the weight of my staffs so they can be fairly universal for both hiking and wading, however, leaning a bit more towards wading. I also use materials and applications more suited for wading, however, they double as nice extras for hiking as well. A couple examples of this are using waterproof marine varnish and motocross grips... they’re both nice extra compliments for hiking as opposed to a standard polyurethane finish and less expensive vinyl grip. I noticed in your Etsy shop you also sell some tenkara flies (kebari), how did you find tenkara and what do you enjoy about it? I was introduced to tenkara several years ago by a fellow fly fishing club member while fishing on the East Walker River, in California. Fortunately, he was very skilled in tenkara and taught me the fundamentals that helped tremendously in making the adjustments from traditional single-handed fly fishing to the tenkara fixed-line method. What I enjoy most about tenkara is the simplicity and that one doesn’t need a lot of gear. My bride Rosie really likes it too for pretty much the same reasons. I also enjoy making the various tenkara type flies and learning how to fish them. Tenkara has also helped me in becoming a better fly fisherman. It has taught me to be more stealthy when approaching the water, especially when wading since you only have a limited reach with the fixed-line approach. 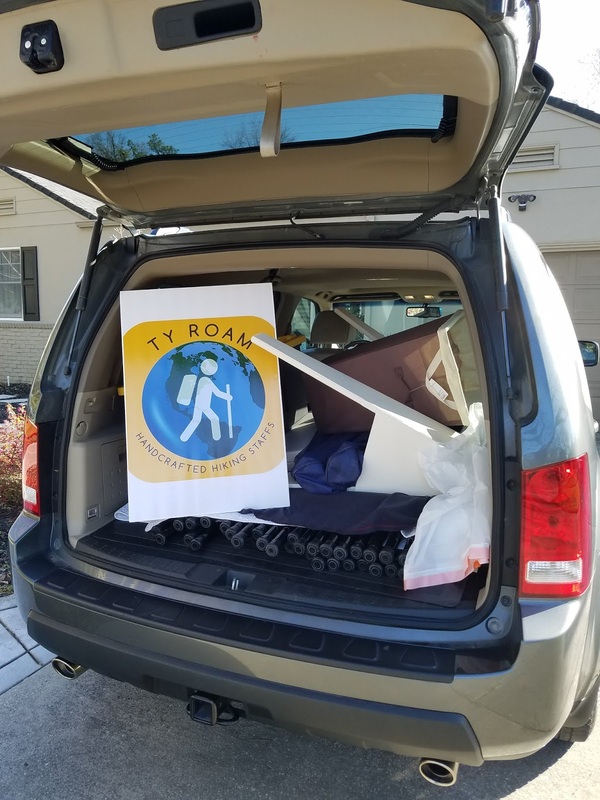 What is your favorite part about operating a small business such as TyRoam? This may sound really corny... however, It never gets old hearing all the compliments from folks on how beautiful our hiking and wading staffs are. 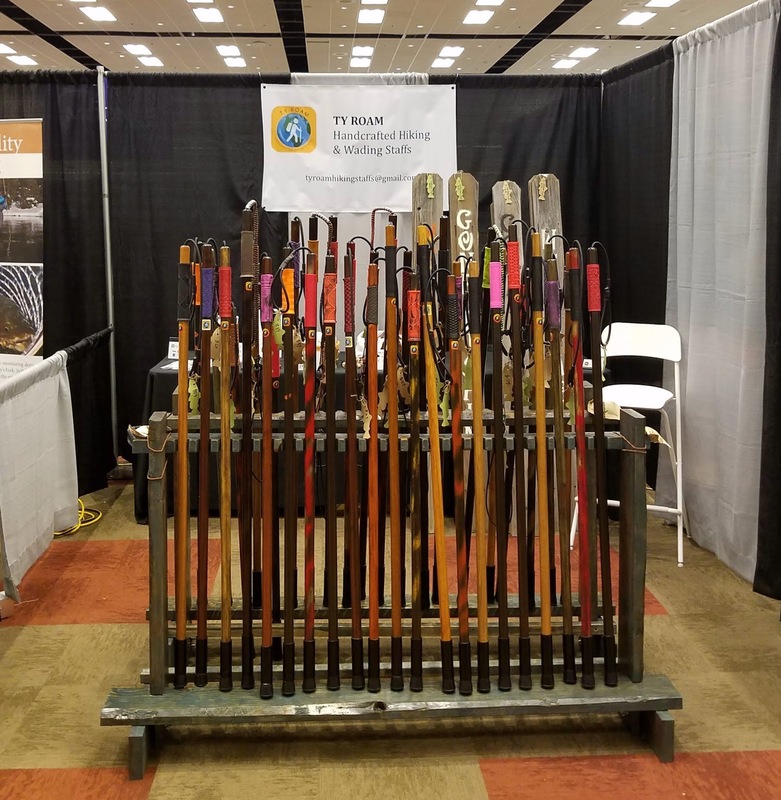 Rosie and I really like engaging with folks while participating at fly fishing fairs and expos - this part of the business is a lot of fun. On the subject of metal staffs... I don’t feel that any metal hiking/wading staff can impart such human emotion compared to a beautifully handcrafted hardwood staff. Especially when passed on as an heirloom or even a gift to a loved one. Also, we here at TyRoam take into account how important it is to have plenty of our hiking/wading staffs built and designed for women. We’re not talking making them “girly,” however, having a staff with a touch of elegance yet outdoorsy flare that is also a 100 percent fully functional workhorse. It’s nice being the owner and calling the shots to equally include hiking/wading staffs designs for women. What do you see in the future of TyRoam Hiking & Wading Staffs? Are there any short or long-term goals you’d like to share? Quick “fun” question – if travel & resources were of no concern, what would your “ideal” outdoor adventure look like? Hiking and fishing of course, then ending the day with an ice cold Sierra Nevada pale ale and some smoked salmon. 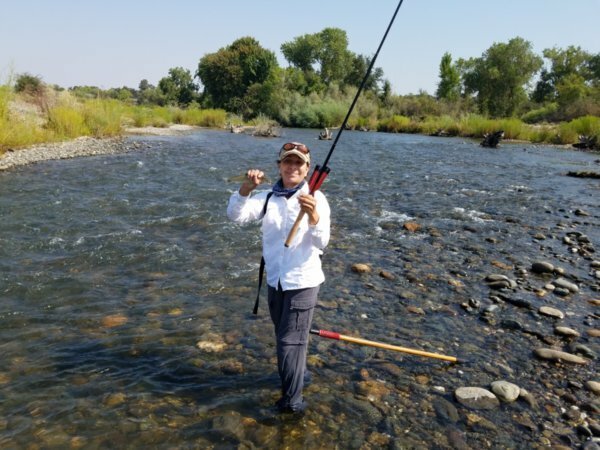 I would love to go on an extended full-service fishing excursion in a remote area of Wyoming during the fall to experience all the colors and beauty of nature hand in hand with my Rosie to share the experience. Did I mention, I’m also a romantic at heart too? Finally, do you have any final thoughts you’d like to share that weren’t covered in the previously asked questions? Yes. 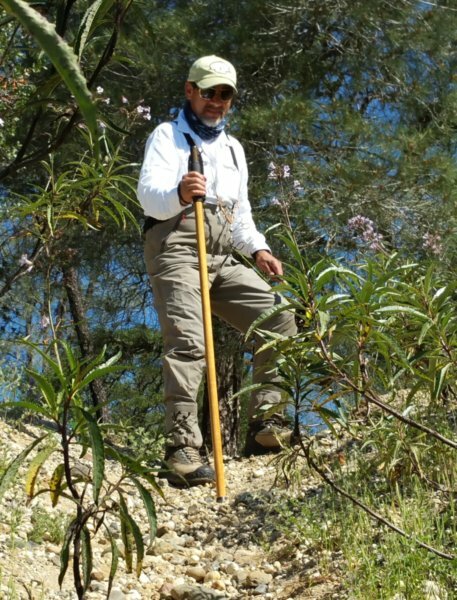 When engaging with both men and women it surprises me to hear some say “Oh, I don’t need a hiking/wading staff ... I’m not there yet.” Meaning, that somehow age and debilitation is associated with needing assistance from a hiking/wading staff. I don’t argue and simply let these folks pass. However, I think to myself that they’re missing the opportunity to ACTUALLY being able to perform better during their hikes and wade fishing WITH a hiking/wading staff. I’m a very athletic guy, at least in my own mind, and I use my TyRoam staff for bushwhacking through thorny wild berries, parting a path through poison oak, climbing up and down railroad track embankments, wading through some pretty good river currents to fishing holes I would not be able to usually reach without having to swim to. 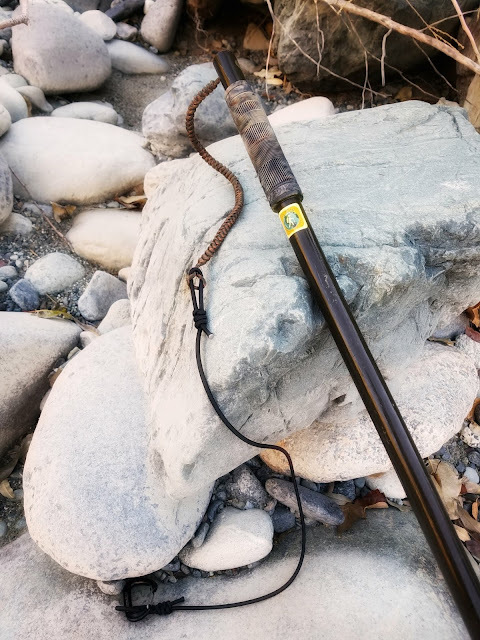 In fact, one summer while on the lower Yuba River a juvenile rattlesnake was resting along the river's edge right in front of my favorite fishing hole. So, I took my wading staff and extended it as far forward as possible and very gently nudged the rattler that soon departed - then, I dropped into my spot and started fishing. So, my long-winded point is that a hiking/wading staff is a very functional tool, and, tools are designed to make things easier and when used correctly be more efficient - it’s not a sign of being handicapped. It’s truly been a pleasure to participate in this interview and share our TyRoam story - we’re grateful. We’re simply a very small independent home-based family business... a throwback to old-fashioned values with the nostalgia of old Americana. Hey... it's Troutrageous Mike again... In closing, I just wanted to thank Ty for taking the time to do this short interview and allow us a peek behind the scenes of his company, TyRoam Handcrafed Hiking & Wading Staffs. I wasn't compensated in any way to publish this interview, I simply appreciate the small business and entrepreneurial spirit within the fly fishing industry. If this is something my readers find interesting, I'd love to feature more folks like Ty in the future. So, if you know anybody that fits the bill, just let me know. I got one in Boise at Fish Fest 2018. They are top quality, beautiful, and the hardware is very good. Great craftsmanship. I lose everything. It would be sad to lose one of these! Nice write up.